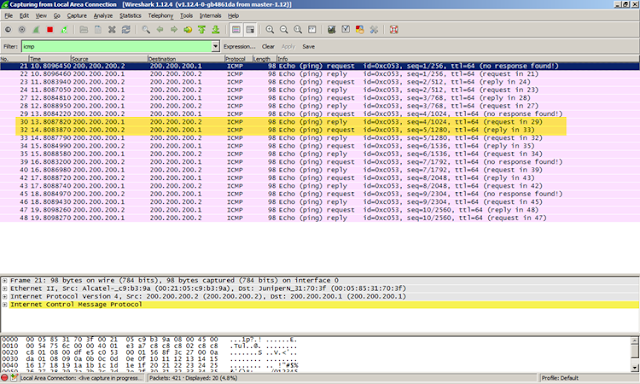 Hello everyone, Today I'll share how to snip packet that pass Alcatel-Lucent Omniswitch (Omni). I put omni in the middle of two router that communicate each other. 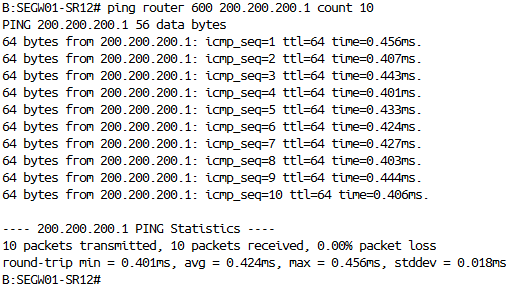 In this case I just use 2 router that ping each other for 1000 count. Then I snip the packet in Omnii. Port where PC connected is 1/17 as Mirror destination, then 1/24 as sniped port. 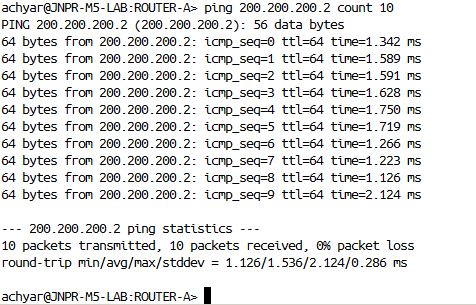 After connection is clear, then I try to ping from Alcatel-Lucent 7750 SR to Juniper M5 and vice versa. In Wireshark, I filter the packet to view, just for ICMP.